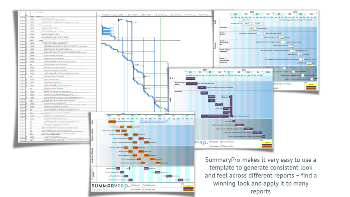 As each summary consists of a pair of files; an Excel file and the Visio file, this ensures that the report remains consistent across different updates. 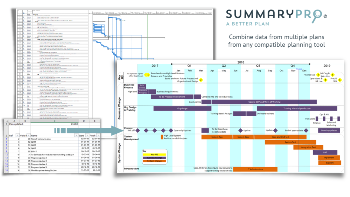 This also is ideally suited to producing consistent summaries as the pair acts as a template for the next one; simply copy the files, rename and use to generate a different summary. The size, formatting, time scale etc. remains the same between summary plans. 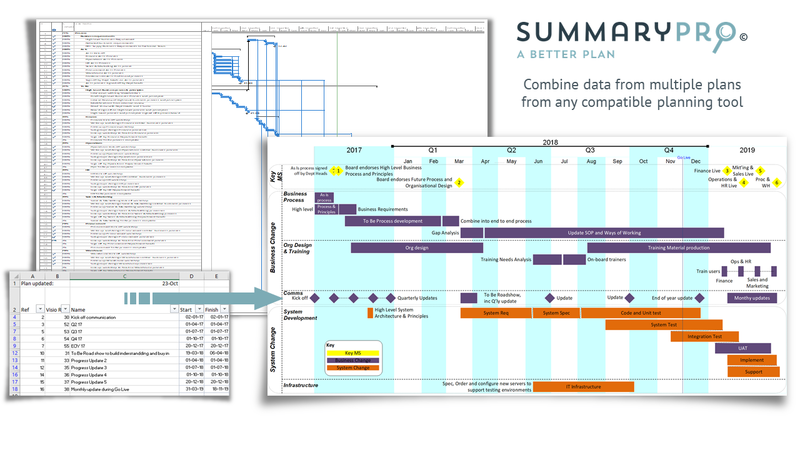 Updating the plan is simply a case of filtering the plan using the pre-existing flags and copying the data into SummaryPro. 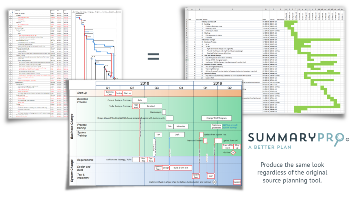 There is no need to interpret or change anything and thus SummaryPro will always report the same things. This allows different people to update the same summary with no possibility that different people might include different things in the same summary plan. 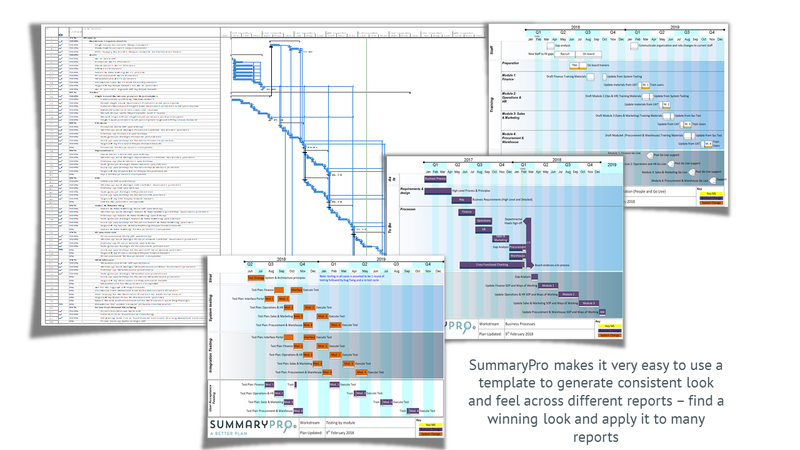 SummaryPro can generate different reports from the same project plan. 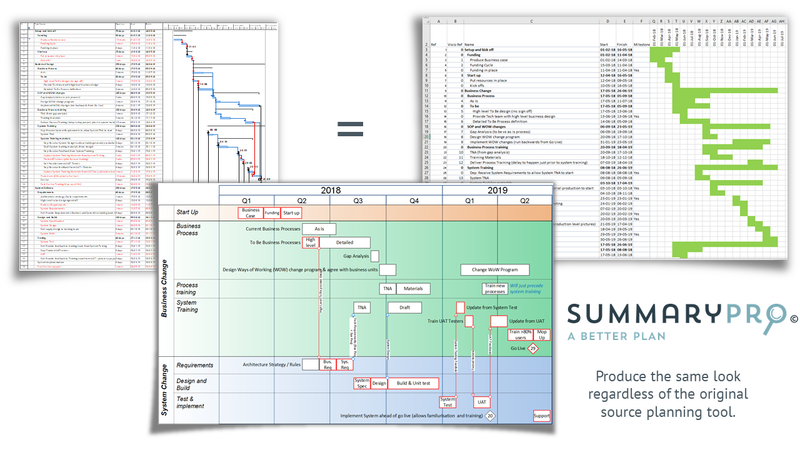 Thus you can produce a series of summary plans for different project groups and a high level summary for the board. As the plans are all produced from the same detailed plan inconsistencies between the reports are impossible. No more human error leading to a different date for the same milestone across different report!